Population is a prominent topic of debate following the world conference at the end of last year. 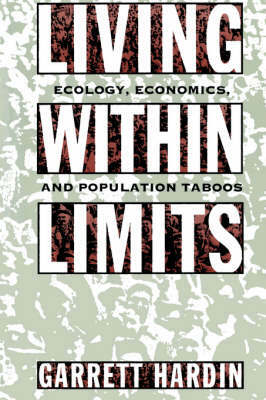 This book tackles the problem of overpopulation with an honesty and fearlessness that is unrivalled, and makes a forceful case for dramatically changing the way we live in, and manage, our world. Hardin suggests radical approaches to overpopulation and points out that the choices are hard, but we must not be afraid to carry out forceful solutions in order to better our world in the future.